Here’s one of the sparkling gems from Southern writer Pat Carr’s Memoir and Fiction Writing class. Set the scene with three or four details. Here are ten ideas of what Pat means by sensory details and then an example from me on my story set on a playground. Light is so important, I think, as I write from a sun-soaked bench cloistered in a square at Yale University attending the International Women’s Writing Guild conference. Pat Carr’s writing exercises, like this one, can be found in her book Writing Fiction with Pat Carr. 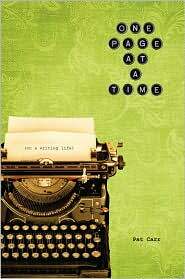 Her new memoir is One Page at a Time: On a Writing Life.